Excited to announce Lost Transmissions will premiere at the 2019 @Tribeca Film Festival! Tickets will go on sale on March 26th. Simon can’t wait to see you at #Tribeca2019! Mission accepted. Christopher McQuarrie is coming back for two more Mission: Impossible films. Variety reports that the Rogue Nation and Fallout filmmaker has signed on to write and direct the next two Mission films. McQuarrie confirmed the news on twitter. But that’s not all! Per the report, the studio is planning to ride on the popularity of the franchise (and perhaps mitigate the encroaching reality of an aging franchise star) and shoot the next two films back-to-back, with Mission: Impossible 7 set for summer 2021 and Mission: Impossible 8 to follow on 2022. The dates were set to avoid conflict with Paramount and Cruise’s upcoming Top Gun: Maverick, (which McQuarrie also had a hand in). The world of Jim Henson’s The Dark Crystal is about to get a lot bigger—and more star-studded than ever. 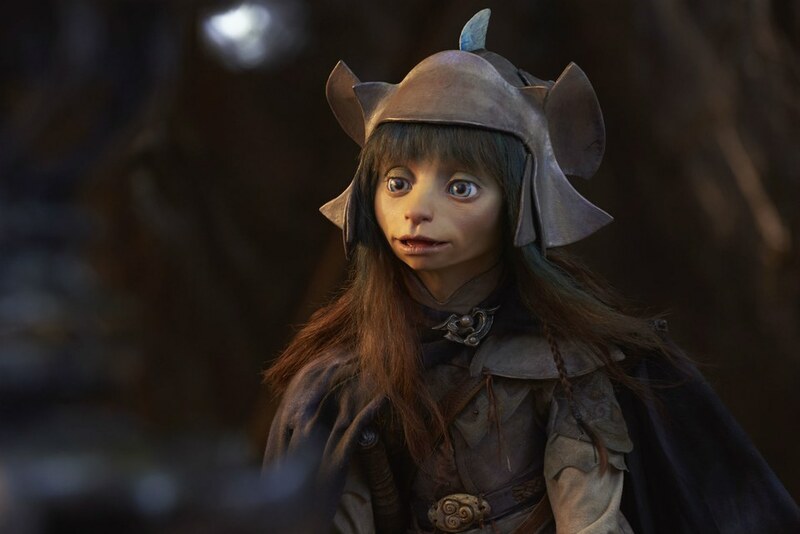 On Monday, Netflix unveiled some of the cast for its upcoming puppet prequel series, The Dark Crystal: Age of Resistance, featuring leads Taron Egerton, Anya Taylor-Joy, and Nathalie Emmanuel, whom Game of Thrones fans might know best as Missandei. And the supporting cast is equally impressive. Henson’s original 1982 film takes place in the world of Thra—populated by creatures including Gelflings, sage Mystics, and villainous Skeksis—and has become a cult classic. Multiple graphic novels and Y.A. novels have expanded the world, telling origin stories and sequel story lines, and now the new Netflix series will focus on what happened before the action of the movie. Per Netflix’s logline, the new series “returns to the world of Thra with an all-new adventure. When three Gelfling discover the horrifying secret behind the Skeksis’ power, they set out on an epic journey to ignite the fires of rebellion and save their world.” Egerton, Taylor-Joy, and Emmanuel will play those three Gelfling heroes—Rian, Brea, and Deet, respectively. The Gelfling count a lot of other stars among their ranks, including, [deep breath]: Helena Bonham Carter, Natalie Dormer, Eddie Izzard, Gugu Mbatha-Raw, Mark Strong, Alicia Vikander, Caitriona Balfe (who stars as Claire in Outlander), and Toby Jones (Tinker Tailor Soldier Spy). And as for the Skeksis and Mystics? They’re just as star-powered, with actors including Mark Hamill, Keegan-Michael Key, Simon Pegg, Andy Samberg, Jason Isaacs, Harvey Fierstein (Torch Song Trilogy), Ralph Ineson (best known as Dagmer Cleftjaw in Game of Thrones), and Ólafur Darri Ólafsson (Lady Dynamite) in their ranks. And Aughra, the ancient embodiment of Thra, will be voiced by Donna Kimball (The Happytime Murders). Small Steps Project: Buy Simon’s Shoes! Bid HERE in the Celebrity Shoe Auction so Small Steps Project can help kids on landfills. Highland Film Group is introducing the high-stakes thriller — to be directed by Vaughn Stein — at AFM. Simon Pegg and Kate Mara will star in the high-stakes thriller Inheritance, The Hollywood Reporter has learned. British filmmaker Vaughn Stein is set to direct, fresh from his recent work with Pegg and Margot Robbie in his noir thriller and directorial debut Terminal. Matthew Kennedy penned the script, with Richard B. Lewis (The Space Between Us, August Rush) producing through his Southpaw Entertainment banner alongside David Wulf (The Night Clerk) of WulfPak Productions and Convergent Media’s Dan Reardon and Santosh Govindaraju (The Night Clerk). UTA and Highland Film Group are co-repping U.S. rights, with Highland Film Group handling foreign sales, which commenced this week at AFM. Inheritance is set to explore what happens when the patriarch of a wealthy and powerful family suddenly passes away, leaving his wife and daughter with a shocking secret inheritance that threatens to unravel and destroy their lives. 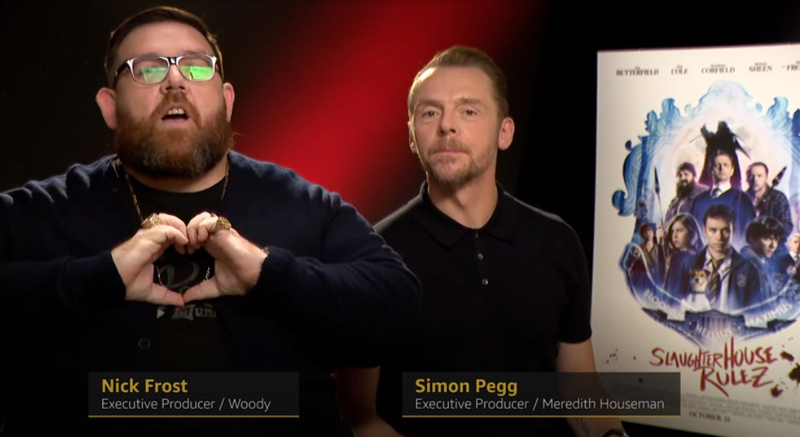 IMDb welcomes ‘Slaughterhouse Rulez’ stars and executive producers Simon Pegg and Nick Frost as Guest Editors for Oct. 25, 2018.